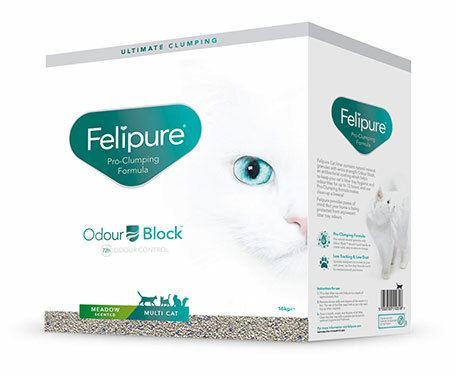 Cleverly designed, Felipure is available scented and unscented. Felipure helps keep your cat’s home fresh and clean, while giving you the peace of mind that it is safe and hygienic for your pet. Fill a clean litter tray with Felipure to an approximate depth of 5cm. Scoop out clumps daily and dispose of the waste. The rest of your litter stays fresh and can be topped up as required. Once a month, empty and dispose of all litter. For optimum hygiene and freshness, clean the litter tray with a pet safe disinfectant.